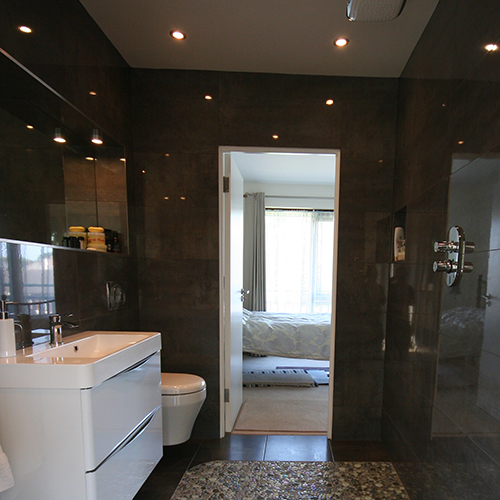 At Donabate Bathrooms we place an emphasis on design precisely because we know that bathrooms and wet rooms have evolved into places of retreat and luxury. 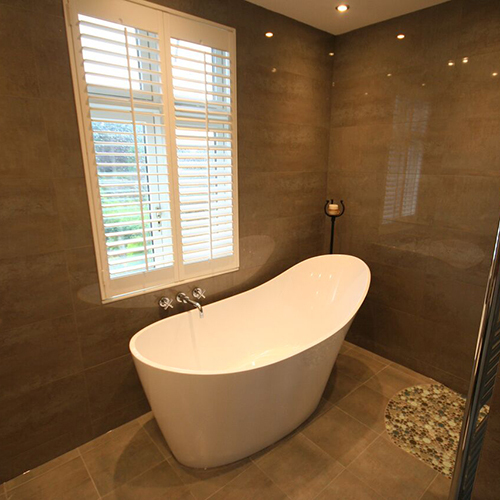 Contact us or visit us in one of our showrooms to talk to us about how we can provide you with the perfect bespoke bathroom to suit your needs. 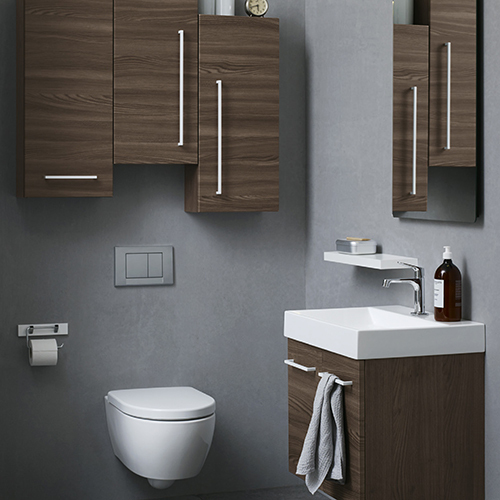 At Donabate Bathrooms we supply and fit a complete range of bathroom furniture, accessories, and fittings from many of the world’s leading manufacturers. Thank you, Philip, Barbara and team for our amazing bathrooms, We are over the moon with the finished product and couldn't recommend you highly enough. We were very happy with your professionalism from our initial enquiry through to the final clean and ``reveal`` of the finished bathrooms. 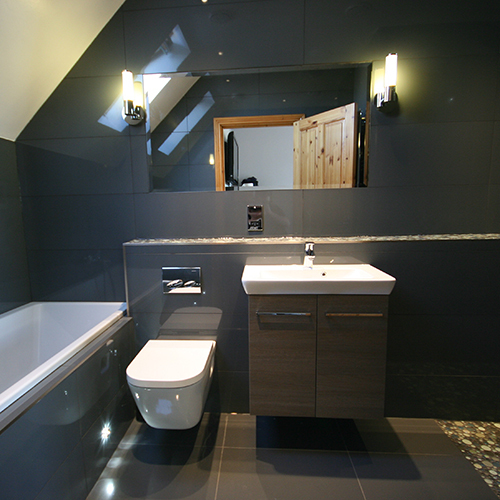 Philip is extremely knowledgeable and had some great ideas, giving us a bespoke bathroom. 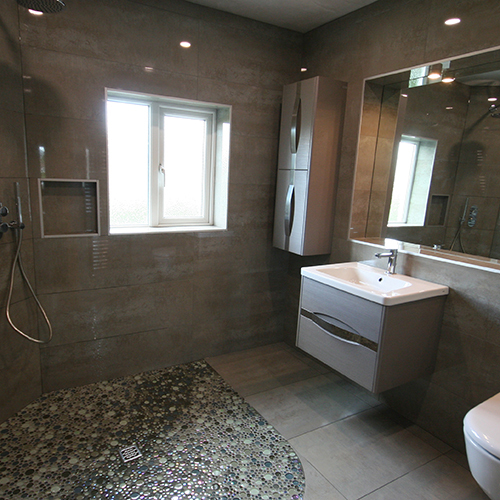 He has a great choice of products and tiles all displayed in his extensive showroom. There was minimal disruption during the installation process and the main thing for us was the huge pride Philip and his team take in their work. 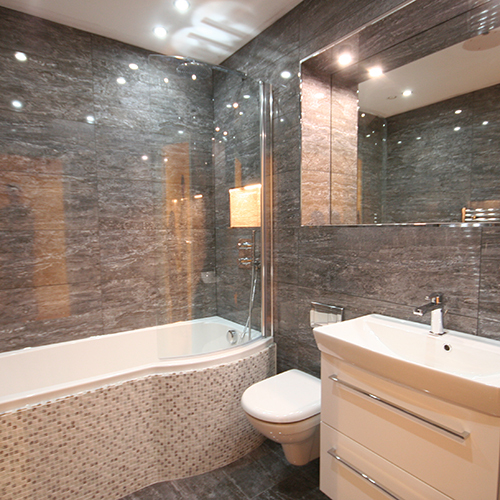 Thank you once again, we are absolutely thrilled with our bathrooms and would have no hesitation in recommending you. 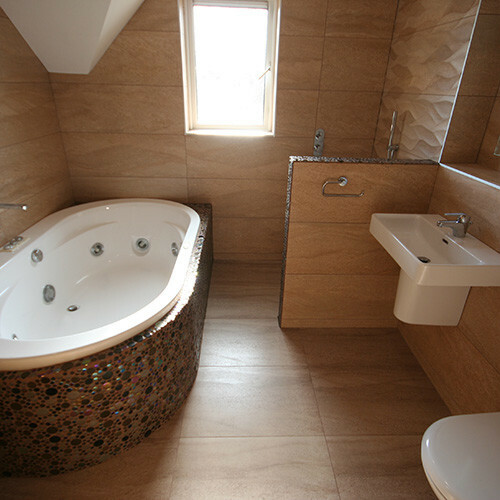 We have designed, supplied, and fitted a huge range of wet rooms in homes all over Dublin. 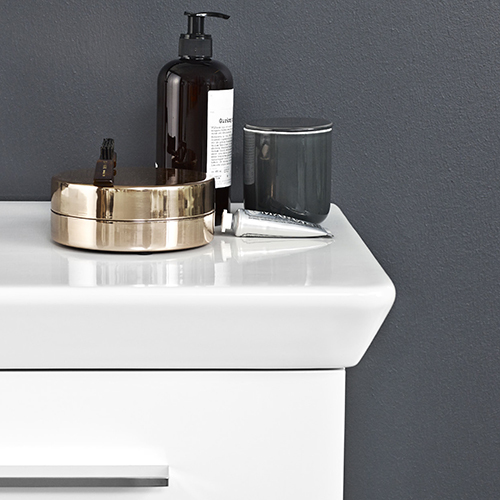 Why not visit one of our showrooms to get inspired? Our team are always happy to offer expert advice in answer to any questions you may have.